Another book review I wrote for the Permaculture Magazine a few years ago. ”The current global economy did not emerge by accident. 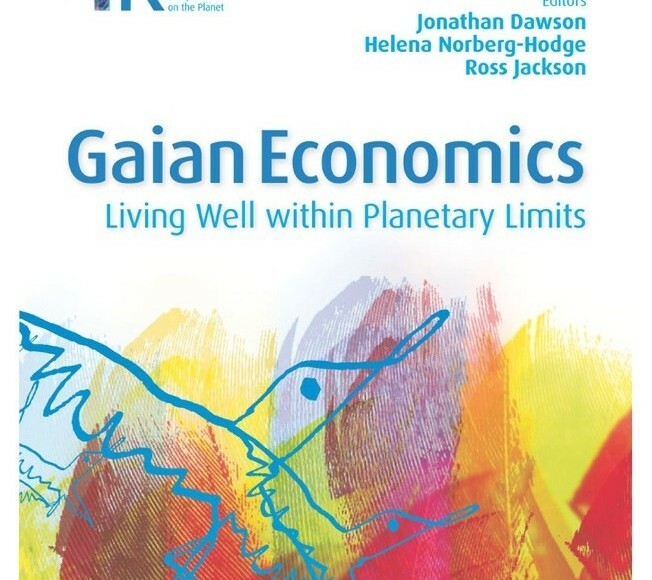 Rather, it is the product of carefully chosen and easily identifiable policies and structural arrangements.” So begins this powerful primer into the world of Gaian Economics, the name the publishers (our very own Permanent Publications) give to what has generally been called in the past ‘alternative or environmental economics’. Through over 40 articles from some of the world’s key thinkers & doers in sustainable economics, we are offered sharp critiques of current society, how we got here, and what we can do to change our economy’s unhealthy structures. They range from wide, sweeping philosophical calls to action and astute academic papers, to stories of proven examples around the world and simple how-to guides. 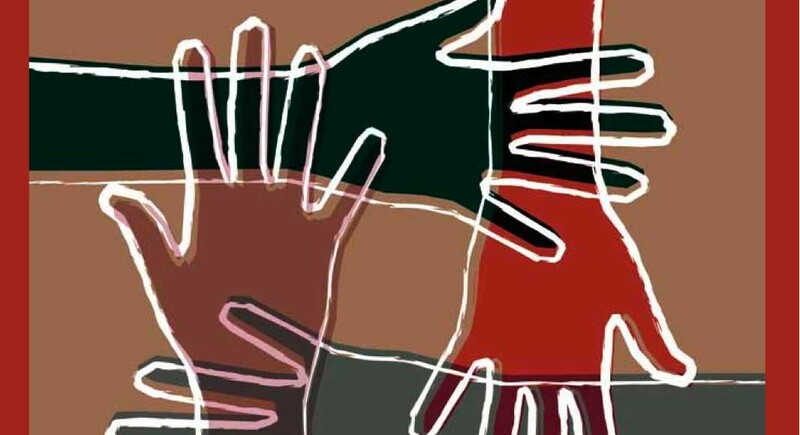 The articles are shaped into 5 modules that cover the whole gamut of thought & learning in economics: shifting the global economy towards sustainability; community banking & currencies; right-livelihood; local economies; and legal & financial issues. A useful collection of articles explaining simply many aspects of this vital subject, I’d recommend this book for anyone wishing to understand the essential subject of economics for a sustainable planet, and alternative possibilities for our collective future. This review was written for Resurgence way back , but they didn’t use it – not sure why, maybe it was too salesy. ‘Picking up this book for the first time is to hold a route map to the future in the palm of your hand’ begins the foreword by eco-rights lawyer Polly Higgins ‘and be warned – your life will change forever. You will become a co-creator of a beautiful new world’. It’s a common misconception that Permaculture is simply about gardening. This often stops those interested in how to build a sustainable world benefitting from the richness of what Permaculture has to offer – the blending of traditional common-sense with scientific knowledge, systems thinking and boundless creativity. Permaculture is used around the world to design lives, homes, businesses, farms and eco-villages, and also in peace initiatives, disaster relief, and community regeneration. We can talk about a million different techniques to remediate the earth, clean waste water and cycle energy, but by changing our attitudes, patterns of behaviour and beliefs we have the capacity to change the world and the thinking that created these problems in the first place. Looby’s timely book about non-land applications of Permaculture Design goes straight to the heart of this. By using examples that range from the personal to the global we get to experience the breadth of what Permaculture design & its thinking tools can help us accomplish – the complex task of building a truly sustainable future. The lion’s share of this book is all about How. Starting with the foundations of Permaculture – its three core ethics – Earthcare, Peoplecare & Fair shares; how observing patterns in nature can inform our understanding of the world; and using Permaculture Principles and systems thinking – Looby takes us on a journey using these ideas in, among others, our own internal landscape, health & well-being, communication with others and connecting with the bigger picture. Also from many years teaching experience has come Looby’s Design Web – the framework that is ‘created specifically for people-based designs… helping to facilitate change and turn our ideas into reality’. The 12 anchor points help us ‘build up a detailed, holistic picture of where we want to go and how we are going to get there’. The web guides us through Growth, Exploratory, Productive and Reflective phases of the design process that mirror our phases of life, and because it is a web we can move from one anchor point to another which frees us up from the classic rigid, linear design process, allowing us, as designers of our own future, to be deeply conscious of every step we take. It supports the fact that every person is unique, having our own personal Vision with our own way of doing things, flavoured by regional styles and cultures. This book is a breath of fresh air – full of optimism & hope combined with practical ideas and powerful poetry, showing Permaculture to be a truly creative approach that anyone can tap into, whether they are familiar with Permaculture or are hearing the word for the first time. Satish Kumar neatly sums up this ground-breaking book saying ‘The future of culture and agriculture is in Permaculture. This book is perhaps the first to give readers the big picture and a comprehensive understanding of Permaculture and how it can underpin our ecological, social and spiritual paradigm. The book is an outstanding contribution to an ever evolving vision which is creative, imaginative, sustainable and joyful’. When opening up People in Permaculture it’s no surprise to see ringing endorsements from such luminaries as Satish Kumar, Joanna Macy and David Holmgren as this is a great work – and a book focusing on applications of non-land based Permaculture is timely. Many of the elders involved in the Permaculture movement have for a long while commented that we have had all the techniques for earth remediation for sometime now, its the people in the system that need to catch up and actively change our scarcity culture to one of abundance. People & Permaculture tackles this issue head on. It is a complex topic, but Looby maps it all out, breaking it into bite-sized chunks. The breadth of the work is quite staggering, no stone is left unturned – and all done in a way that gently inspires us to bring more awareness and design into our lives. Through dealing with ourselves we can also affect the world around us. Some key insights are Looby’s Design Web approach and her bringing in Ken Wilber’s integral model into a Permacultural context. If you find yourself drawn to the people in your designs then this book is for you – I would also add that if you find yourself unable to fully integrate people into your designs then this book is for you too.